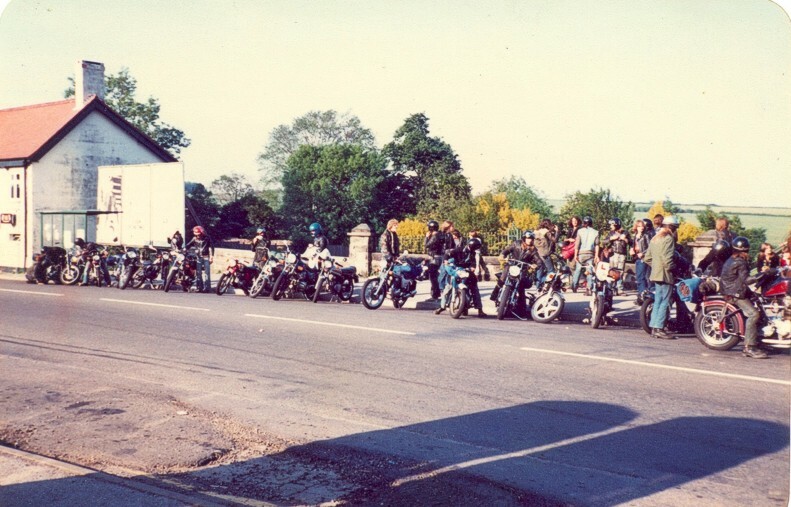 Video: Codnor motorcyclist late 1970s early 80s. 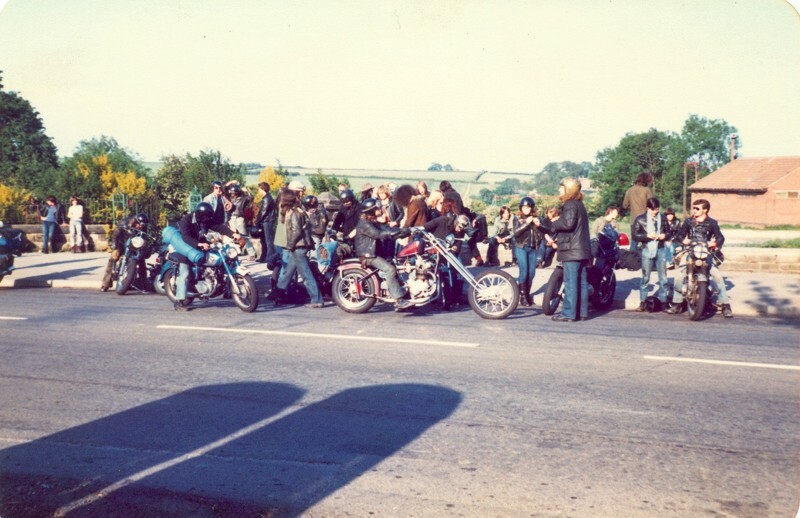 Converted from original Cinifilm and made available, courtesy of Adrian Alton. 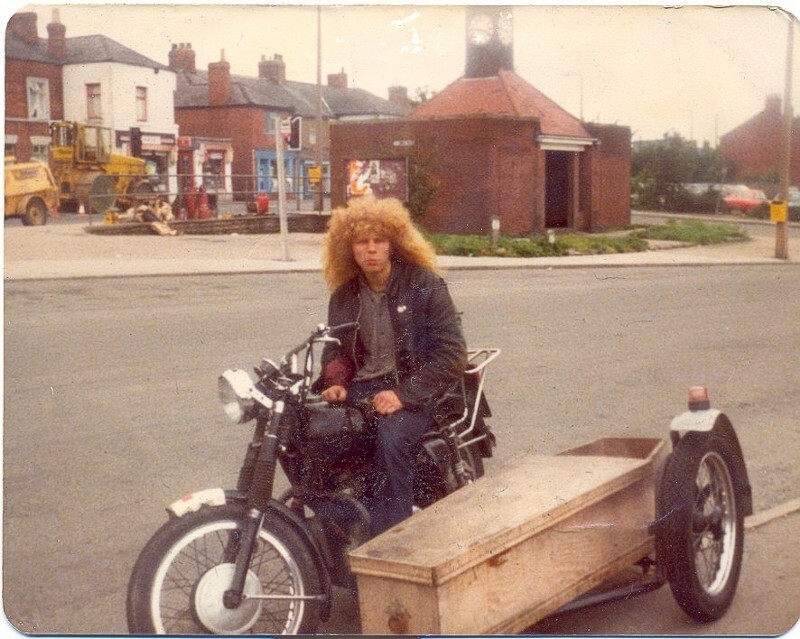 Fig.1 Codnor market 1980 Jon Howard on his BSA 500 A7 and coffin sidecar. He had a hinged lid on it for a while, but when he was riding it used to flip up and smash the passenger in the face so he had to take it off. Right an article from the Evening Post June 4th 1980. 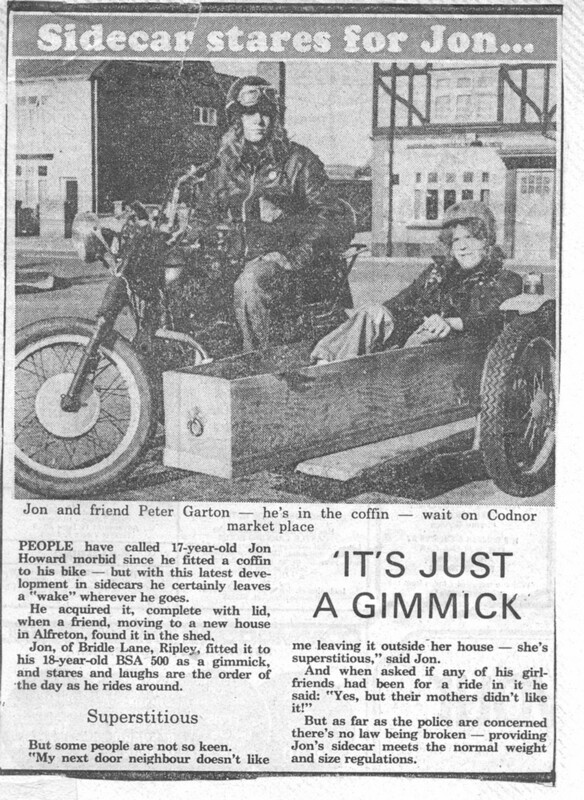 It also appeared in The Sun news paper May 29th 1980 with the heading "Death Rider"
Fig.2 Codnor Market 1979. from Left to Right: Ian Clarke, Donna Walker, Andrew Thornhill, Pete Bradley, Brian Eyre, Marie Dickson, Isobel Jackson. 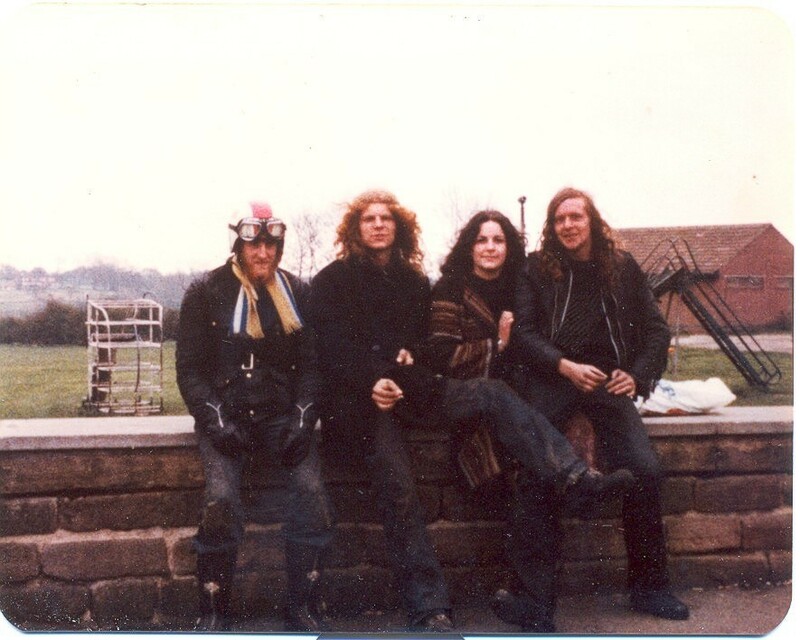 Fig.3 Preparing for a camping trip to Stoney Middleton 1982. names to follow soon. Fig.4 Preparing for a camping trip to Stoney Middleton 1982. From Left to right. 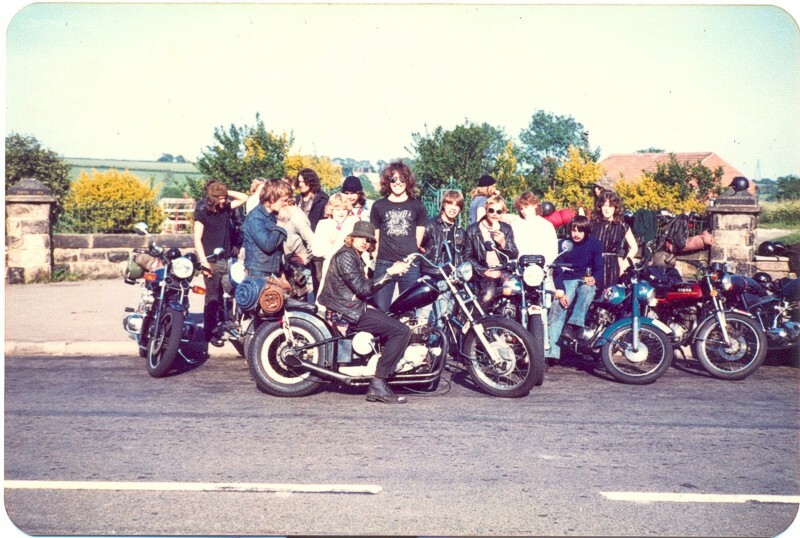 The bike is Tim Rodgers Honda 900, Gary Rodgers with hat,Carl Rodgers with denim jacket,Mark Fletcher with dark hair in background,Carol Dodson,Dean Froggart wearing hat,Rayne Fretwell wearing sunglasses,Andrew Thornhill, Mark Dodson Honda 250 Superdream, Alison Freeman,Possibly Andy Baker at the back wearing hat, David Clark Honda CD175, Andrea Fretwell, In front is Trevor Bonus on his Triumph 650 lowrider. Fig.5 Another view of the bikes. names to follow. 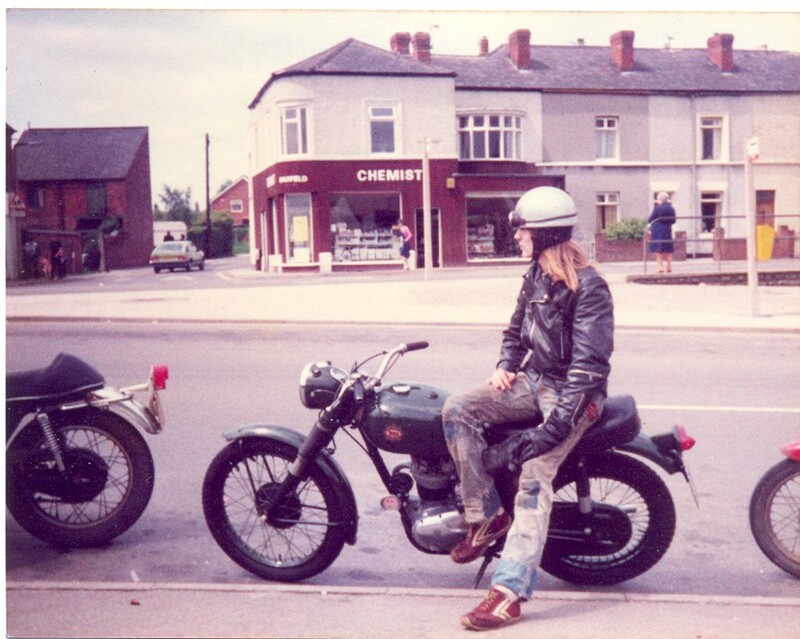 Fig.6 Dave Wray on his BSA C15 early 1980s at the back of the Jessop Arms. 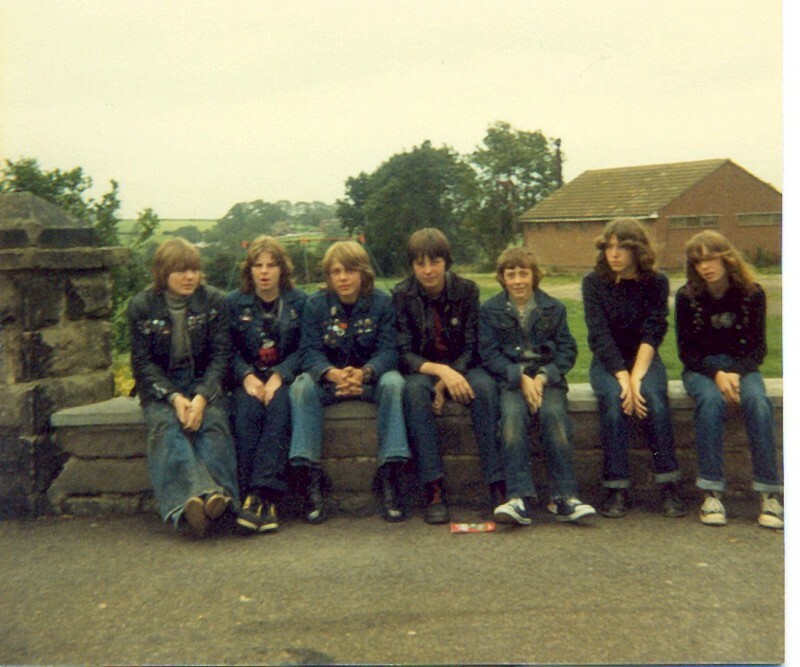 Fig.7 Codnor Market 1980. left to right Tim Rodgers, Jon Howard, Tracey Clarke, Steve Allsop. 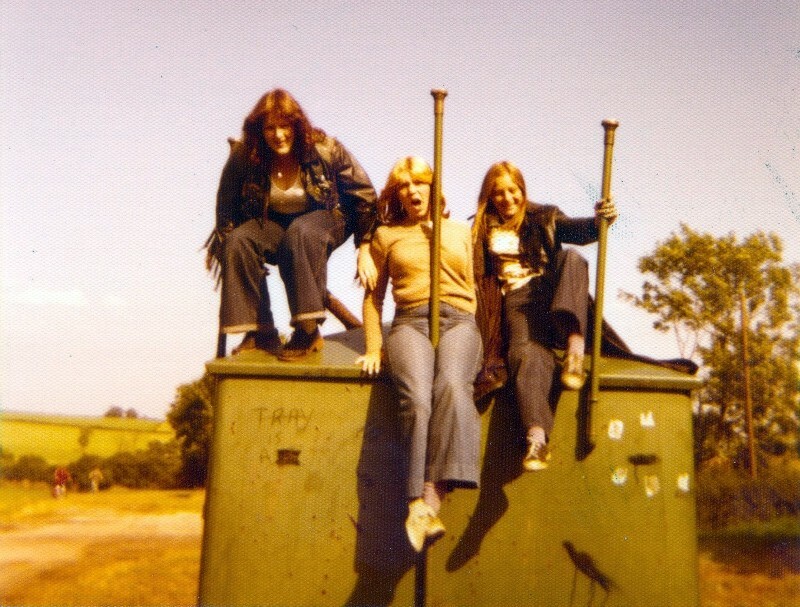 Fig.8 Left to right Janet Balyicki, Kate Nicholls, Christine Tyler early 1980s. 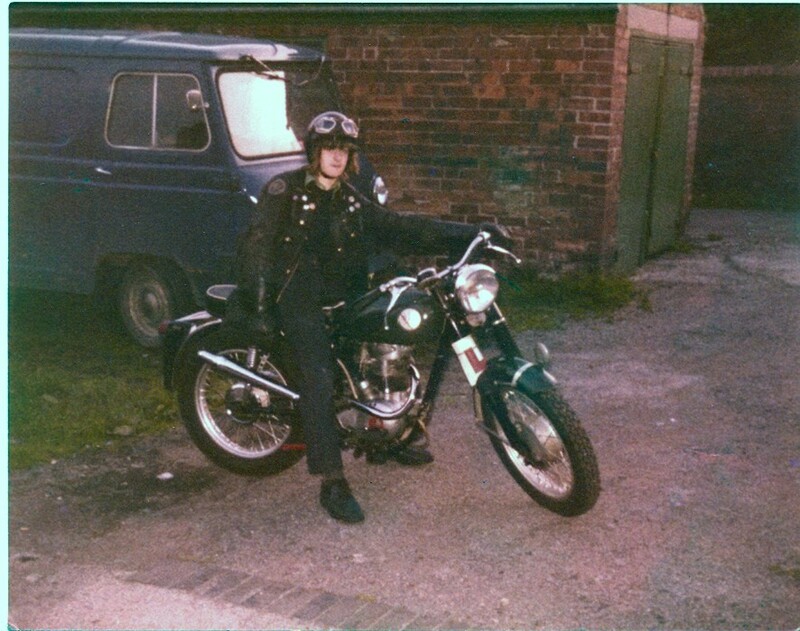 Fig.9 Adrian Alton on his BSA B40 WD. mid, 1980s. Fig.10 Codnor Market late 1980s. 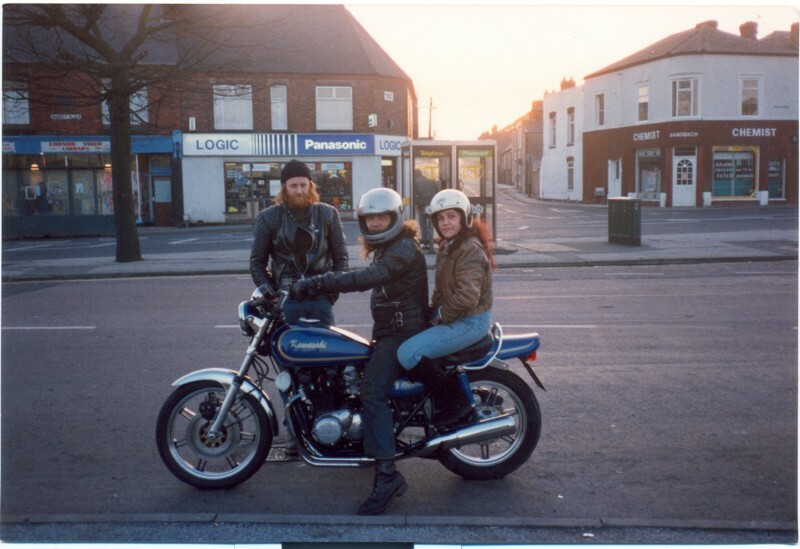 Me (Stuart Saint )and my wife Tracey Clarke on my 1977 Kawasaki Z1000. Tim Rodgers standing behind.